Enabling push notification on Windows Phone platform while building on Unity is not straightforward specially if you are not from Windows Phone background. App42 makes this task seamless for unity developer and this can be done with minimal effort without prior knowledge of Windows platform. 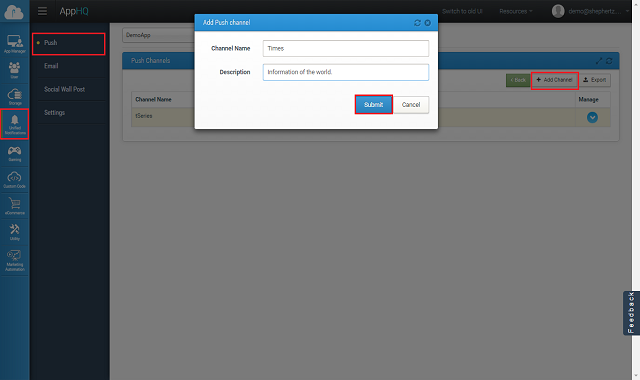 This tutorial uses a sample app to give you a walkthrough of integration. Here are the few easy steps to get started with App42 Windows Phone Push Notification in Unity Applications. Create an app once, you are on Quick start page after registration. 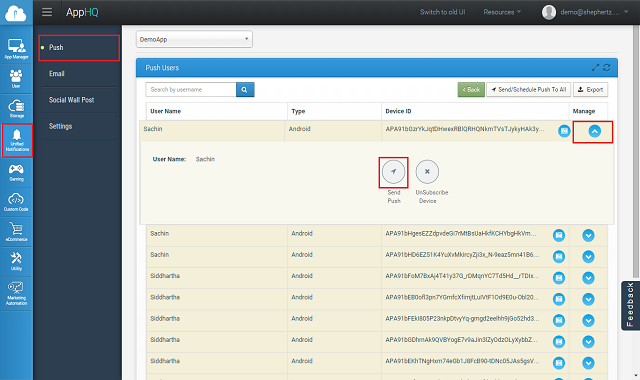 If you are already registered, login to AppHQ console and create an app from App Manager -> App Create link. Go to the “Application Keys” and get Api key and Secret key. Unzip the downloaded file and open project in Unity. Open Constants.cs file in Assets folder of sample project and pass required information. 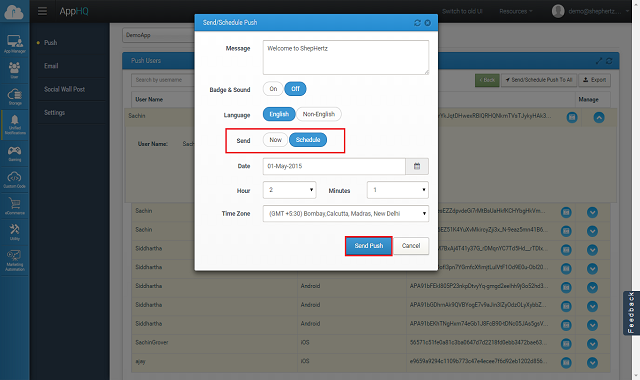 Change ApiKey and SecretKey that you have received in above step at line no 6 and 7. Change UserId with your user name you want to register for Push Notification at line no 8. Set the flag mNotificationType for type of pushNotification in OnGUI method of UseMyPlugin.cs. Add component UseMyPlugin.cs as script on main camera available in Assets folder. UseMyPlugin.cs will do all the stuff for you seamlessly. Once app will get started it will register your app with MPNS as well as with App42 platform for push notification usage. It uses StoreDeviceToken method to register app with App42 server. This is only one time activity and will be done when app will be opened. Following snippet of UseMyPlugin will do the initialization and calls for Registration with MPNS and App42 server on start up. After Building Windows Phone Project from Unity, We will have to Modify WMAppManifest file to Add capabilities. Copy the below code in WMAppManifest file to capabilities section when you are integrating with existing project. 3. Integration and Customization in Your Existing Project. Once your app is registered you are ready to send message to your app user using following code snippet from any App42 Unity SDK . Since we are supporting two types of push messages toast message and tile message so there is two methods for them.To send Tile push message we create Tile class object and set the parameters. For “backBackgroundImage” and “backgroundImage” parameter either we can set any local image or any web image URI. If you want to send push message with sound and badge effect on iOS device, you have to pass JSON string in below format. You can also do it from AppHQ by putting this JSON format in message text area for sending message to iOS device with sound and badge effect. Here is Unity Code to send Push Notification to Channel. 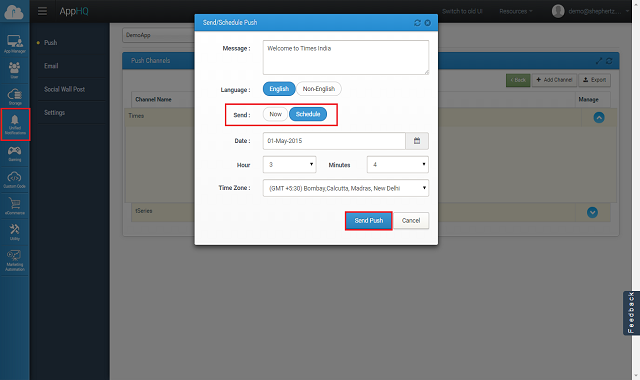 Click on Send button and type your message in pop up and pass your time to schedule the message. Click on Send Push button and type your message in pop up and pass your time to schedule the message. Push notification goes from App42 server to MPNS server and then device. Delivery of Push notification is not guaranteed from MPNS to device and it is stated as best effort. Once it is delivered on user device, there might be a chance that user clears it without actually Opening the message. Using App42 Push Analytics, you can track how many push notification was sent from your side, how many were delivered and how many were opened by the user. You can see these analytics from AppHQ console which will give a better insight of push notification campaign. If you want to track push message read/opened event you have to simply put following snippet after Message is clicked and lands to your activity. 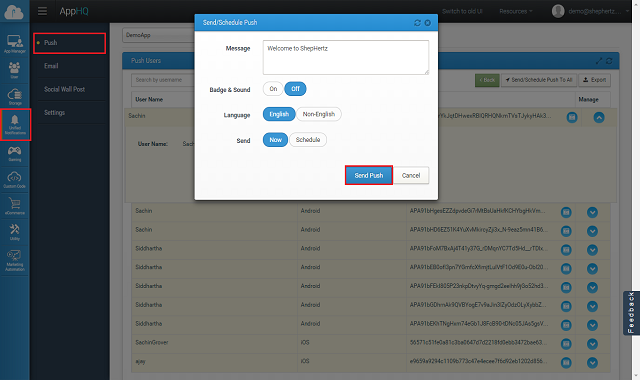 This will enable tracking of push message and analytics can be seen from AppHQ console.